I love the Shamrock Shake at McDonald's. Please tell me you have a healthy recipe swap! You're not alone... 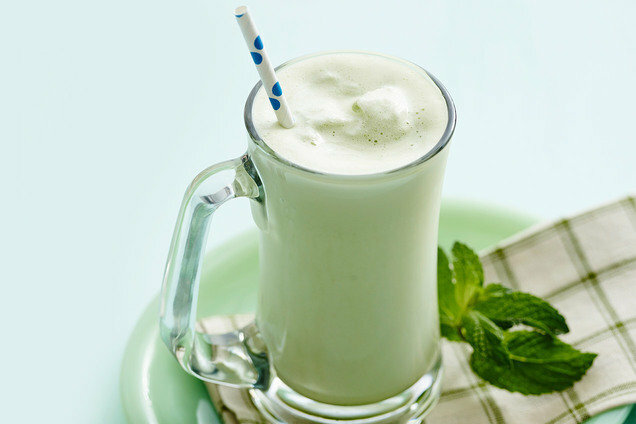 Seems like everyone is obsessed with that creamy, vanilla, hint-of-mint Shamrock Shake! Sadly, the stats are a major doozy: Even the small 12-oz. shake has 530 calories, 15g fat, and 73 grams of sugar (SmartPoints® value 27*). That is insane! Today, March 9th, is National Crabmeat Day. There's no better way to celebrate than with our 119-calorie Best-Ever Crab Cakes! A Shamrock Shake swap that's all-natural, low in calories, and high in protein? You'd be nuts not to click "Send to a Friend!"